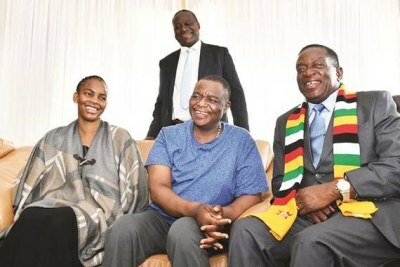 Thousands of Christians - led by the Roman Catholic Church - converged on Vice President Constantino Chiwenga's Hwedza homestead to pray for a speedy recovery following his recent discharge from a South African hospital. 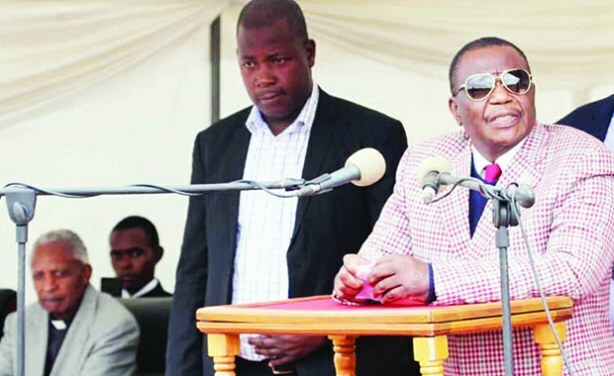 Speaking at the mass, Chiwenga slammed "fake prophets". This follows predictions by prominent Harare preacher Apostle Thomas Chiwenga that two important people in Zimbabwe would die in quick succession. Vice President Constantino Chiwenga addresses congregants during a solidarity prayer meeting at his homestead. Seated on the left is Father Emmanuel Ribeiro of the Roman Catholic Church.